Show your generous side – give humbugs! Exclusive to 4imprint - 90g tasty mint humbugs. Chunky clear plastic pot with black lid that can be filled with stationery once humbugs have been gobbled up! For orders of 250 pots or less we also offer an express service on this item. 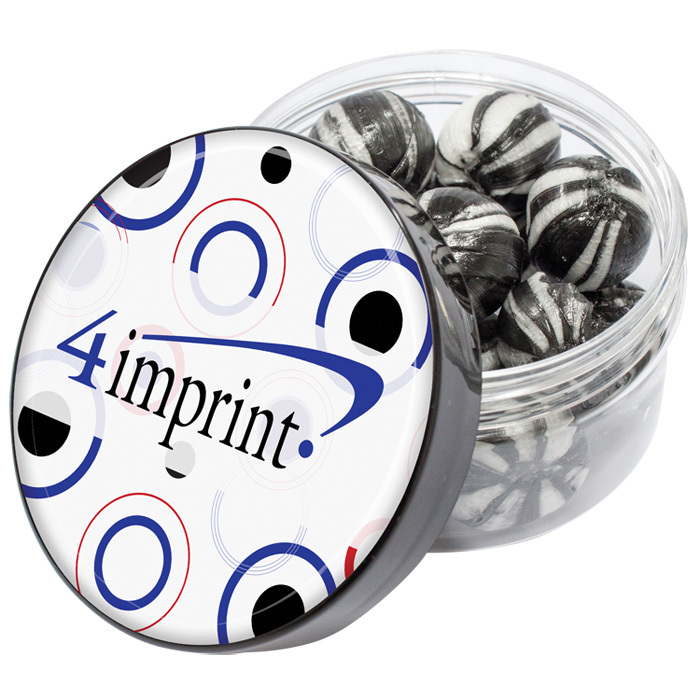 Price includes a full colour print onto a high-gloss domed sticker that is adhered to the pot for a lasting reminder. Dimensions: 71mm dia x 40mm.